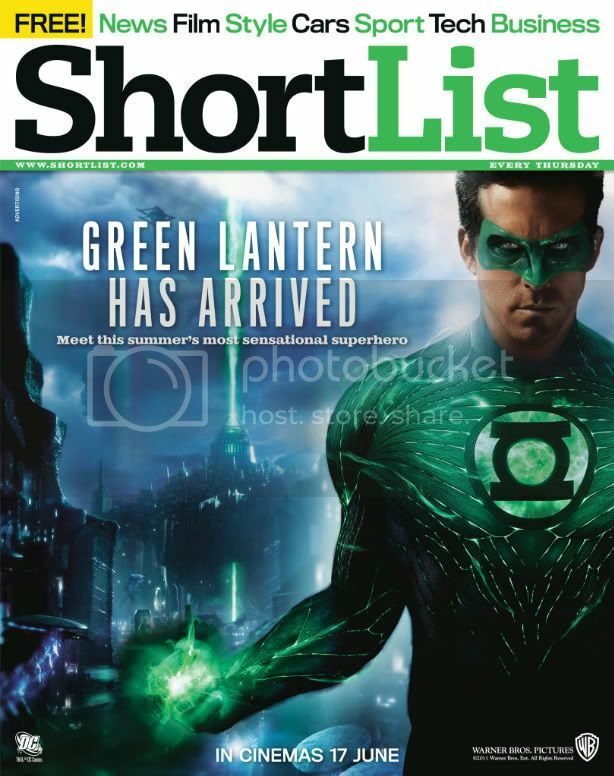 This week, ShortList has gone pretty green. No, sadly, we're not driving around in electric cars or working in the dark but, instead, we're getting irrationally excited about Green Lantern. You may have noticed that our main cover is graced by the star Ryan Reynolds while if you flip it over, there's a special section on the film. It's topped off by something which we've been getting a little drooly about in the office. While the back cover may just look like an advert for the movie, it's actually something far more special. What you need to do is download the Zappar app (it's free) on your smartphone. Here's a link for those with iPhones and here's one for those with Android phones. Then just point your phone at the image below and it will come to life. Cue gasps.